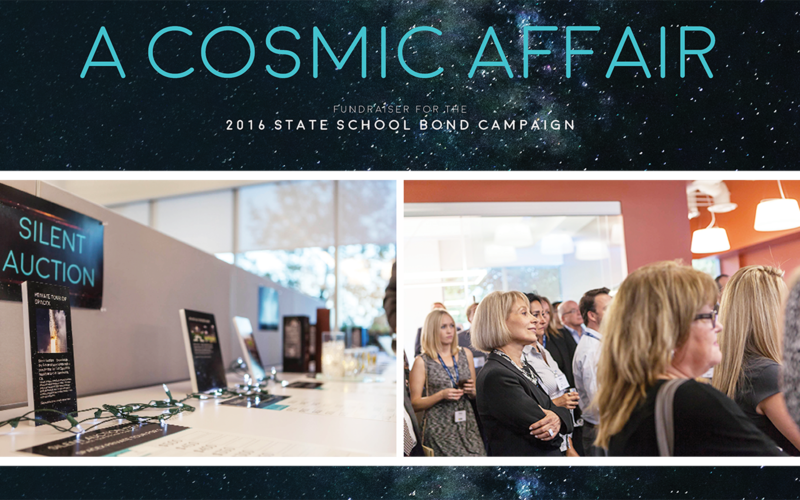 Mission Complete: “A Cosmic Affair” Raises Over $50,000 for CASH’s Proposition 51 Campaign. “A Cosmic Affair” launched curiosity and reached new heights as the event brought in the third-largest sum raised from fundraising events for CASH’s Proposition 51 campaign. Westgroup Designs, Koury Engineering and Bernards hosted the extraterrestrial event of the light-year attracting over 130 attendees and raising over $50,000. Join us on 6:29:16 for your chance to win from a selection of prizes, including private tours to Jay Leno’s Big Dog Garage and the Spacex Headquarters.